Fears about incision and pain keep many people from undergoing the cosmetic surgeries they deeply crave. However, these fears are extremely unfounded in today’s medical environment. Modern plastic surgeons use sophisticated techniques to ensure that people undergoing these surgeries experience no pain whatsoever. Surgeons extensively use two main types of anesthesia to keep these procedures painless. Often called awake anesthesia, local anesthesia is a form of anesthesia that allows the patient to remain awake during the surgical procedure. This is the type of anesthesia that is preferred by most surgeons. With local anesthesia, the risk of complication and injury is very slight. Each year, researchers continue to refine local anesthesia techniques. The least invasive form of local anesthesia, topical anesthesia involves rubbing the skin with a numbing agent. Another anesthetic tool is the nerve block, a chemical injection that prevents the targeted nerve from reporting back to the brain, which causes the sensation of pain. 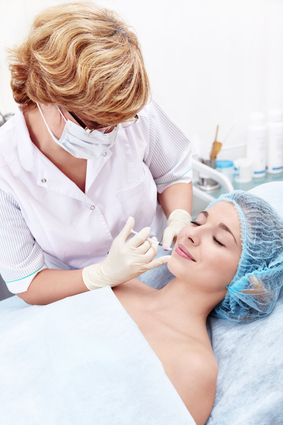 For most types of plastic surgeries, local anesthesia is fully sufficient. General anesthesia is a pervasive, systemic form of anesthesia that induces a state of unconsciousness in the patient. This eliminates all of the pain and anxiety that can afflict people undergoing cosmetic surgery. Though plastic surgeons do prefer to use local anesthesia when possible, general anesthesia today is a highly evolved practice with a very safe track record. Even after learning about the effectiveness of modern anesthetic techniques, many people continue to have worries about undergoing cosmetic plastic surgery. This reluctance to undergo surgery is perfectly natural. However, people should remember the many practical benefits that this type of surgery can provide. After achieving a desired personal appearance through surgery, one often feels greater levels of self-confidence and personal satisfaction. In and of itself, this confidence can inspire people to achieve new heights in their personal and professional lives. Fairly or not, people who improve their personal appearances can achieve higher standing in the eyes of others. This can lead to a broad number of benefits in many areas of life. Perhaps the most obvious benefits accrue to single people in the dating scene. Although personal character is widely seen as the most important quality for any mate or significant other, attractiveness helps people get noticed in the first place. It is difficult to establish a personal rapport with a potential love interest without initial mutual interest. Beyond the realm of dating, cosmetic surgery can help people improve their lifelong earnings prospects. Though it is regrettable, people with more pleasing appearances are more likely to experience improved employment opportunities. If you would like to learn more, visit Plastic Surgery Info for additional resources.